recipe for crazy blog: Companion Planting/Vegetable Planning Guide Now Listed! Companion Planting/Vegetable Planning Guide Now Listed! I am so excited to share a new project I've been working on for some time now. A very, very long time ago I was asked to design some planting cards for a family member, who shall remain nameless, ahem, sister, these are for you. We were talking about gardening and what we just planted in the garden and she made the comment that now that grandpa was gone (our family's go-to garden expert for all things Oklahoma gardening) she didn't know when to plant anything. 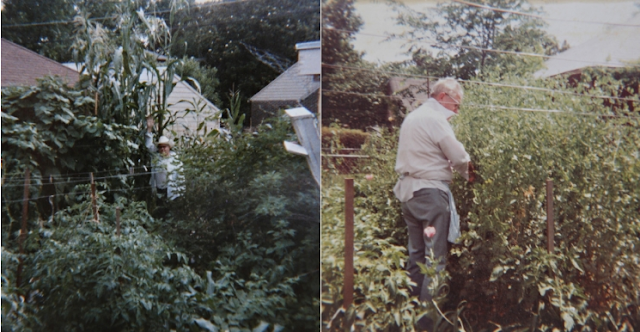 See, my grandpa had a loving way to let you know what you were doing wrong in your gardening efforts. You could ask him just about any question during the season and his response would be something like, "you mean you don't have your onions in yet?" or "oh, spinach seeds should've been planted 2 weeks ago." I kind of think we could've planted things weeks earlier than he did and we still probably would've got the same kind of reply - though that's just purely speculation because it never happened. He was on top of his garden and the produce that came out spoke for itself. I've mentioned before that much of our garden knowledge and experience comes from what I learned from him. And it's without a doubt that I get the same reaction sometimes from my garden when I'm picking lettuce weeks before others are in the same area or eating tomatoes late in the year. It's that competitive spirit he drove in us and appreciation for growing your own food in your backyard that keeps us growing things even when it seems we're just feeding the squirrel population. 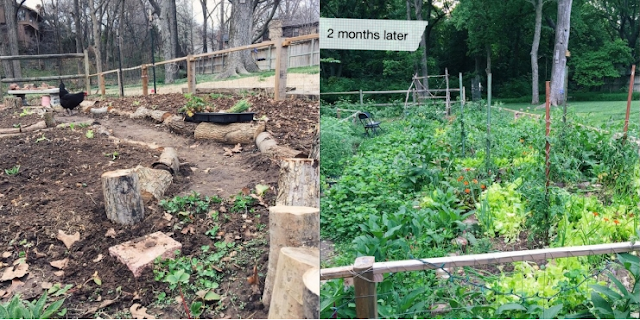 Anyway, my husband and I came together on this little project to make it easier for others to have a more successful gardening season. 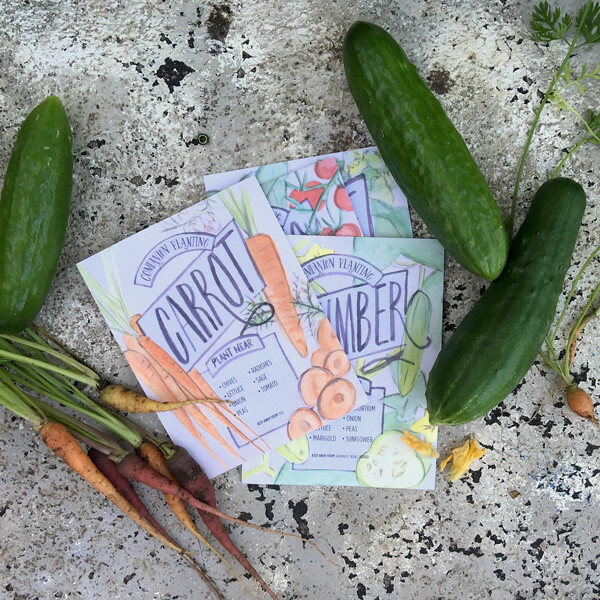 The first set of companion planting/vegetable planning cards have been added to the shop! 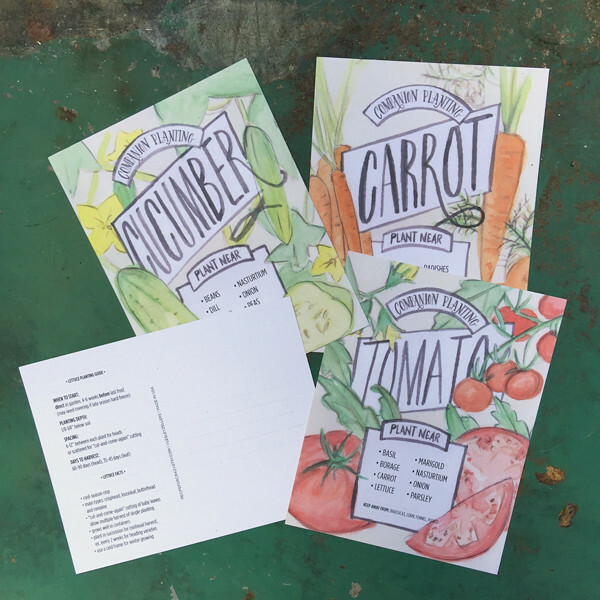 This set of four vegetable cards have been conveniently set up in standard post card format to allow for easy referencing and storage and each card is printed front and back on recycled matte paper. - and even some fun tips for each veggie! • And since it's postcard size - I included some lines for an address and space for postage so you can send it to your favorite gardening friends! P.S. For those that have asked, yes, I'm working on more! Set two is almost finished up & features herbs that every garden should have and the next set is all about flowers, followed up with more vegetables. I'll keep you posted on the release dates of those & how my temporary shop closing will affect that but I hope to have the entire collection ready this fall - just in time for next year's gardening season. Stay tuned!